Editors note: There is one (1) photo associated with this press release. ATCO is now offering innovative water treatment solutions to customers in Alberta's Industrial Heartland. The company previously entered into a long-term commercial arrangement with Air Products Canada Ltd. to provide water treatment service for the company's hydrogen facility near Fort Saskatchewan and is now capable of offering the service across the region. "Treated water is a critical component to industrial processes and the provision of this service allows customers to focus on their core business," said Patrick Creaghan, President, ATCO Storage & Liquids Division. "The addition of water treatment to ATCO's water system represents another offering in our growing suite of water and wastewater services." ATCO is developing the infrastructure to provide treated water through a multi-user water system to customers throughout Alberta's Industrial Heartland. With treated water delivered directly to their facility, customers benefit from substantially improved industrial water quality and can free up land on their sites previously dedicated to water treatment. 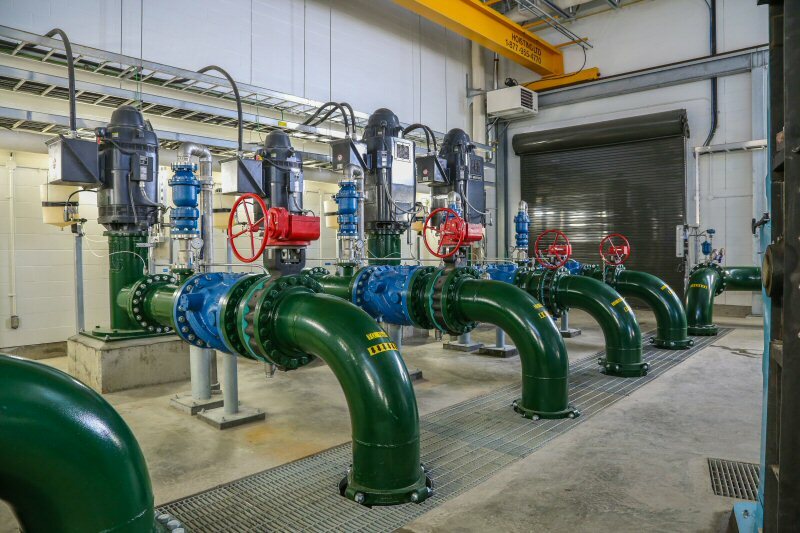 The provision of water treatment services is the latest milestone in ATCO's continuing history of delivering energy infrastructure solutions in Alberta's Industrial Heartland. Within the past seven years, the company has completed more than $70 million in projects to expand its industrial water system. By allowing customers to connect to an integrated single system, ATCO's multi-user system provides several environmental benefits including reducing the number of intake points required on the river and providing the ability to capture and reuse treated wastewater from customer operations to be reintegrated into the system. This water treatment agreement builds upon ATCO's existing contract with Air Products Canada Ltd. to provide industrial water to the company's hydrogen facility. The treatment service is expected to commence in the third quarter of 2016. ATCO's Storage & Liquids Division builds, owns and operates natural gas, natural gas liquids (NGL) and industrial water-related infrastructure to serve the midstream sector of the energy industry. The company offers tailored solutions for product storage, processing and transportation that provide customers with exceptional business value.